As Quaintise social media director, I started out being against editorial calendars. They went against everything that I believed was true about social media; spontaneity, trend-spotting and crowd-sourcing. If something popped up in the news or was trending and related to the client’s healthcare industry, I posted it. Social media calendars got in the way of productivity, or so I thought. 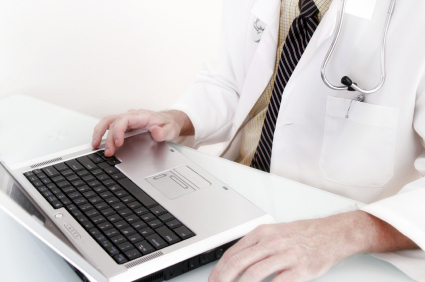 Social media calendars are inclusive, integrating every aspect of healthcare marketing. From the blog to online newsrooms, events, email campaigns, video marketing, specials, promotions and PPC, social media editorial calendars should be extensive and focused. Healthcare social media editorial calendars should improve accountability with staff and the brand, increase accomplishment and productivity, force team members to get creative with trends, and increase analytics recordings. Being that I started out a starch enemy of social media calendars, I like to take it one month at a time. For example, if you were starting today, January 7th, on your editorial calendar, consider drafting it for February, even March. Give yourself plenty of time to do the research, find the trends, get your staff involved, brainstorm and get creative. Plan your calendar out week by week. Be sure that every week has a specific theme that fits like a puzzle into the monthly theme, whether that be for Heart Disease Awareness Month or Breast Cancer Awareness Month or New Year’s Resolutions. Break down the topics, expand on those topics, engage your audience and be consistent. Roughly one to two posts per day, including weekends, should be just the right amount. And stay on top of it. If your audience is engaged, interact with them, answer questions and join conversations. 85% of Millennials and 78% of Boomers search for health topics online. 84% of women research health topics online. 66% of adults searching for health care topics has looked online for information about a specific disease or medical problem. 47% of adults are likely to share health information on social media with their doctors. 57% of consumers said that a hospital’s social media connections would strongly affect their decision to receive treatment at that facility. A 2012 consumer survey of 1,060 participants found 54% of patients are very comfortable or comfortable with their providers seeking advice from online communities to help better treat their conditions. 60% of doctors recently surveyed said social media improves the quality of care delivered to patients. More then 80% of individuals between the ages of 18 to 24 said they were likely to share health information through social media channels and nearly 90% said they would trust the information they found there!